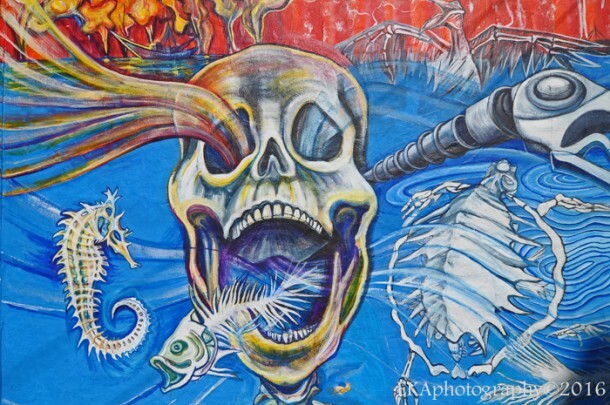 Conceived as a co-partnership between the Los Pobres Artistas mural group and La Peña Cultural Center. BAMF participants also included East Oakland Youth Alliance and Youth Spirit Artworks. 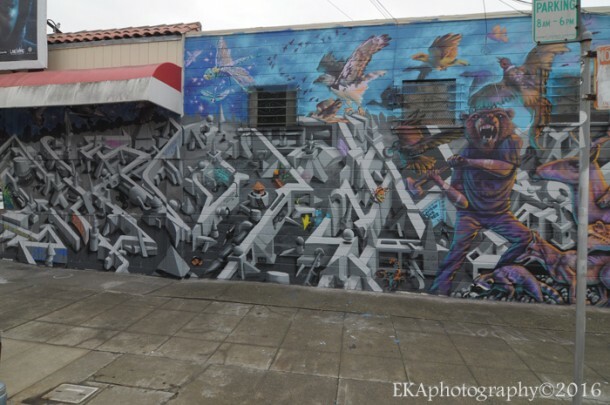 The festival enlisted 25 master muralists and 20 at risk youth in a series of artist residencies and workshops, which culminated in the painting of 12 murals along the Berkeley- Oakland border — a map is here. 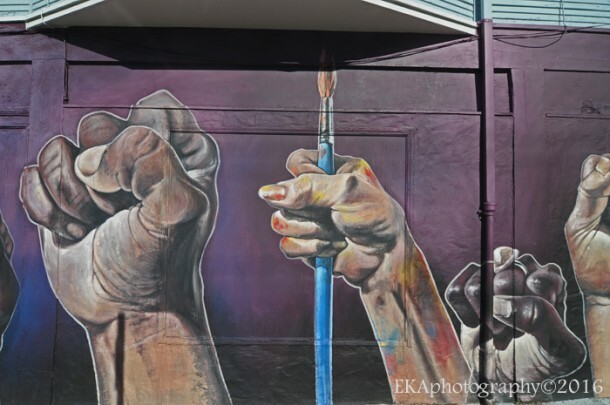 CRP was honored to paint alongside local legends like Juana Alicia and Dan Fontes, who have paved the way for a new generation of mural artists and organizations who have continued to carry the legacy of public art forward and draw attention to this vibrant, and much-needed artform. CRP’s contribution to BAMF, painted alongside a wall at 59th St. and San Pablo Avenues, embodied themes of nature vs. the prison-industrial complex—hint: nature wins—and was painted by Lead Artists Desi Mundo and Pancho Pescador, along with regular CRP collaborator Grace Chen. For the occasion, Mundo unleashed a new, three-dimensional style which recalled the maze-like line art of M.C. 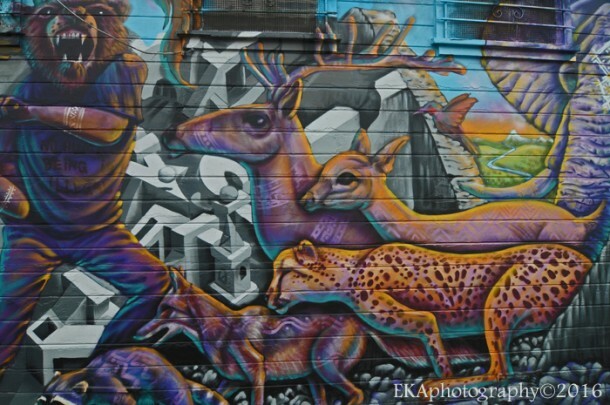 Escher, while Peskador supplied dynamic animal characters who reclaim the land from a stratified, isolated, and gentrified society where civil liberties have been diminished. In hosting BAMF, organizers hoped to create several positive outcomes, including the week-long mural festival, as well as paid apprenticeships for minority youth, and a month-long development and arts training process via arts residencies with new arrival youth. The proceedings included lectures by Emory Douglas, Susan Cervantes, Alan Laird, and Susan Greene, while a range of local businesses contributed in-kind donations to the muralists and youth, embodying the community-friendly spirit of sharing. 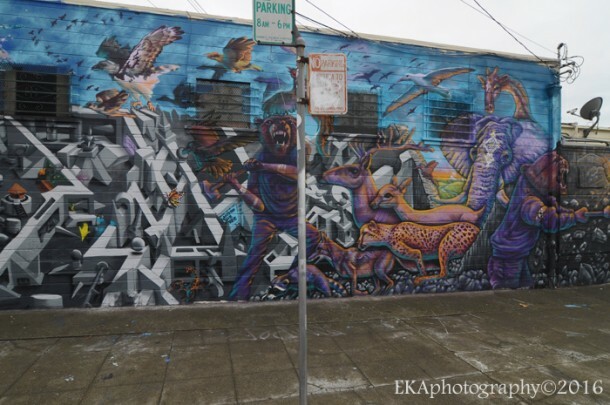 Not only were the hoped-for outcomes realized, but BAMF also succeeded in transforming the visual landscape of the Berkeley-Oakland border, including neighborhoods which have been severely impacted by gentrification and the resulting loss of cultural diversity. 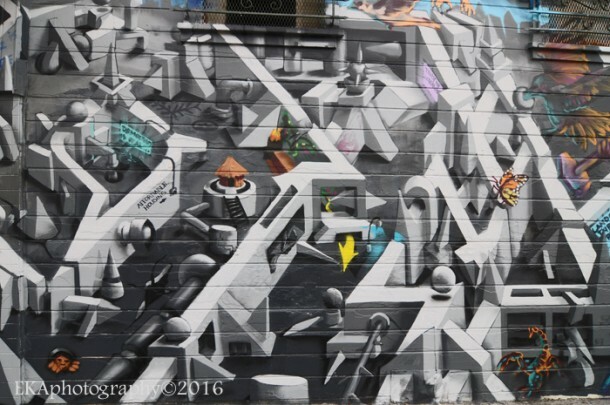 All in all, BAMF represented a win for muralists, youth, and neighborhood residents, and may become an annual event. Thanks for writing about the festival! 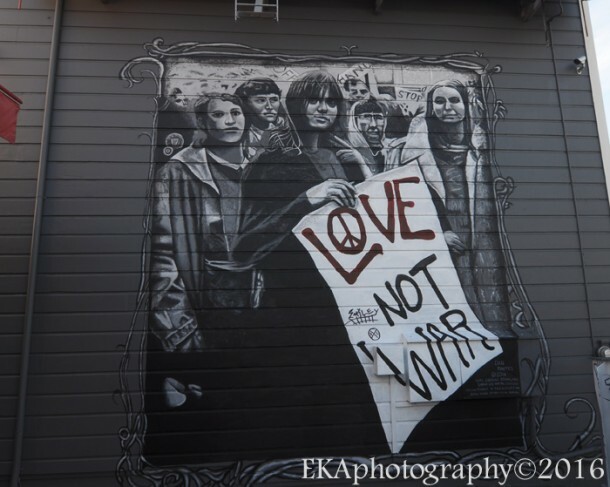 Please note that the last photo is of Teodoro Saavedra’s mural celebrating the 50th anniversary of the Black Panther Party.